Excellent tanks, ones full, just waiting for more rain to fill the next. They are absolutely superb, I will be recommending them to whoever enquires and the truck driver was excellent, good manner and knew what to do, top service all round. Well, I will just wait for RD1 to send me the bill. "Dealing with Promax Plastics Ltd was a breeze. The pricing was more than competitive, the sales people professional and very obliging and the communication regarding delivery, choice of colour and sizes was second to none. For people in rural areas of New Zealand Promax Plastics Ltd goes the extra mile with free delivery and warantees/guarantees that equal their competitors. I would recommend to anyone needing a water tank to give Promax Plastic Ltd the opportunity to quote, supply and deliver on a high quality product. 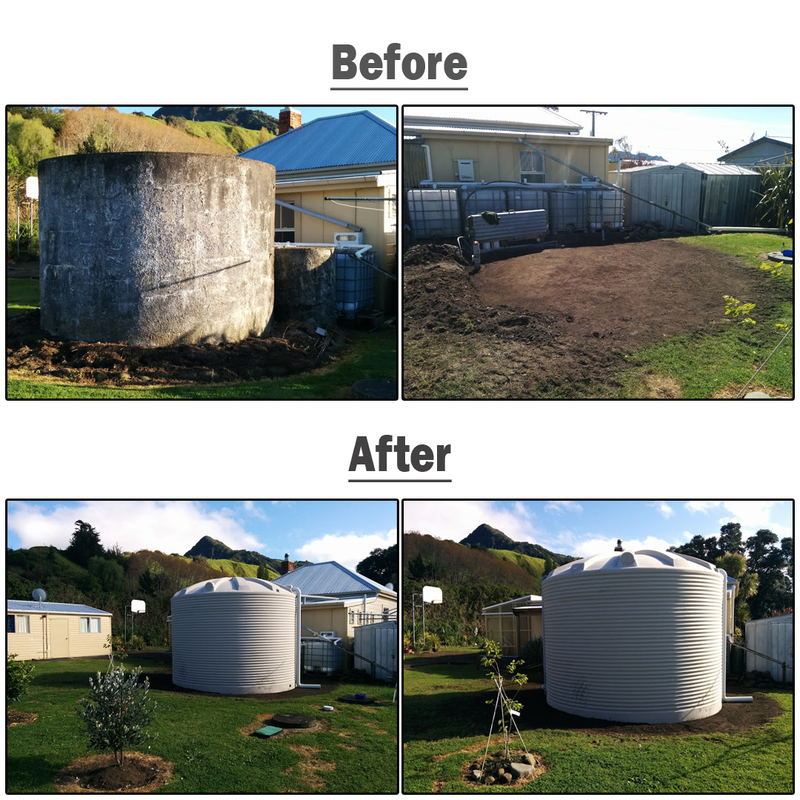 We went with the corrugated 30.000 litre tank and love the traditional aesthetics and design of the tank and look forward to many years of drinking water that is safe and palatable for the health and well being of our family. "My experience dealing with Promax Plastics has been exceptional. Tanks are light weight ,durable/ easy to fit/ with colour options so no painting needed and up keep is very low considering a harsh environment these are being used in .With various sizes we are able to fit the correct tank to suit different weight limitations we have to work with in the transport industry."